You Are Here: Home » Ready to Shop? • Thin profile. High index lenses are thinner than standard lenses, making them more aesthetically pleasing and making your prescription seem weaker than it is. A thinner profile means a weaker prescription in general. • Lightweight. High index glasses are lightweight because of their thin lens profile. Less lens material means less weight on your nose all day. • Scratch resistance. 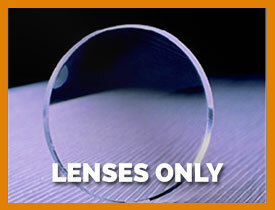 High index lenses are denser than standard plastic or polycarbonate lenses, making them more scratch resistant. This is extremely useful for everyday glasses as it increases their lifespan and saves you money on a new pair in the long run. • Less eye distortion. Many people with strong prescriptions have to deal with the “bug-eyes” or “tiny eyes” distortion that comes from thick lenses. Thick, strong lenses can distort the way your eyes look to others, making them seem smaller or larger than they are. This is embarrassing and unattractive. High index lenses remove much of the eye distortion associated with high prescriptions. • More prescription options. 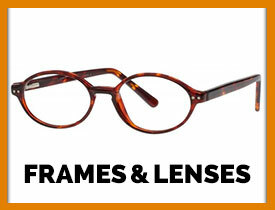 In curved frames and some frames with special lens pockets, there is a limit to how thick a lens can be. High index lenses allow higher prescriptions to be inserted into many of these frames, broadening your frame options when you’re on the cusp.